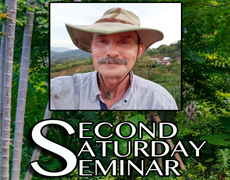 We are thrilled to have Jesse back by popular demand at November's SSSeminar. He will be speaking about winning plants for your home, patio and garden. The lecture will feature examples of live plants. An array of species will be available for purchase after his talk. Jesse opened his famous Broward County tropical nursery and gardens in 1990, with the goal to improve the world through horticulture. His worldwide tropical and sub-tropical plant collection includes fragrant flowers, colorful shrubs, aroids, heliconias, gingers, bromeliads, palms, bamboos, orchids, and flowering trees. Naturally, a large collection of Florida native plants is blended with the showy exotic plants, all selected and tested for their hardiness, ease of maintenance and beauty in the landscape, to work together in a spectacular South Florida garden.